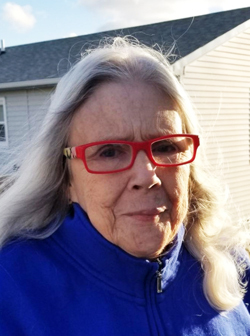 KILL DEVIL HILLS – Charlotte Hood Alexander, 77, passed away March 19, 2019 in Nags Head surrounded by her family and friends. She was the daughter of the late James Garland Hood and Charlotte Hood. Charlotte was born in Richmond, VA and attended St. Catherine’s High School and Mary Washington College where she earned a degree in art. While in Richmond, she operated Charlotte’s Gift Shop. She also enjoyed assisting Alzheimer’s patients at Grace Jefferson Assisted Living. Charlotte moved to the Outer Banks in 1989 where she met the love of her life, Jerry, where they loved to fish and enjoyed the beach. Charlotte and Jerry operated Alexanders pottery for many years. Charlotte, also known as “The Turtle Lady”, was a devoted and respected volunteer for N.E.S.T for 17 years. Charlotte is survived by her husband, Jerry Alexander of Kill Devil Hills, NC; her two sons, Sanford Miles Boutchyard (Lynda) of Mechanicsville, VA and Michael Craig Boutchyard of Richmond, VA; sister-in-law, Debbie; brother-in-law, Keith; three special friends, Roberta, Bonnie and Teresa; and a host of nieces, nephews and close friends as she commonly referred to as “Sweet Pea”. A Celebration of Life will be held 1pm, Sunday, March 24, 2019 at the Gallop Funeral Chapel in Nags Head, NC. In lieu of flowers, memorial donations in Charlotte’s name may be made to N.E.S.T., PO Box 1073, Kitty Hawk, NC 27949.